When I was in Newfoundland in Sept/Oct 2008 I used my digital camera to catalog all the headstones in the Kennedy’s Lane Cemetery in Holyrood. I’ve combined the images with headstone transcriptions that I began in 1999 and added to in 2002. Since 1999 there have been some changes at Kennedy’s Lane. A windstorm in 2002 brought down at least one tree and caused damage to some of the stones. Also, vandals with crowbars, or some such weapons – have also destroyed some and damaged others. Most of these have been replaced or repaired. There are also new stones because interments are still done when people have family plots; and some of the new ones commemorate ancestors who were buried many years ago. This listing still have a few kinks to be ironed out. If you have a problem with any of the pages please come back to this page and leave a comment. This entry was posted in Cemetery Listings. Bookmark the permalink. I was looking at the names off all the Penney’s buried in this cemetary..There was a few real young ones also…What would have happened to them to die at such a young age. Many thanks for hosting the pictures of the memorials and grave markers…much appreciated!!! Please note he served in the CEF, not CEP. Here’s a link to an image of his grave in Elouges, Belgium. 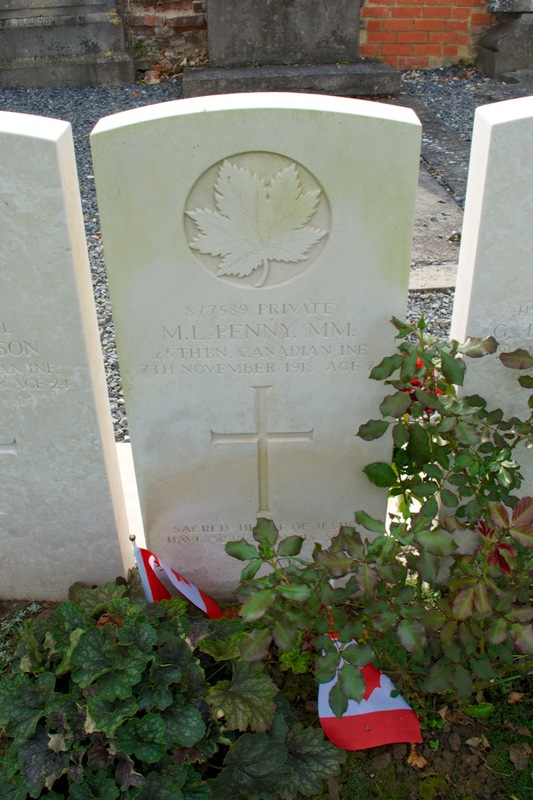 Thank you Rob for both the image of Pte Matthew Penny’s headstone in Belgium, and for my typo correction. Matthew Penny signed up in Nova Scotia, and was a member of the Canadian Expeditionary Force (CEF). Here is a link to the image at Kennedy’s Lane. Just discovered another typo, he served with the 25th CEF, not the 23rd. Penny was leading his reduced platoon outside of Elouges and faced light resistance, unfortunately, a sniper’s bullet found its target. Eileen , a few years ago our family put two new plaques to my relatives. My mom ,Elizabeth Penney Bennett, showed me where her grandparents Joey Wheelwright Penney and his wife Mary Conran were buried . The other plaque is to my father Frank Bennetts great uncle Frank. Bennett . His great uncle buried his first wife Mary Lewis Bennett. and is most likely buried next to her in a marked but unnamed grave.